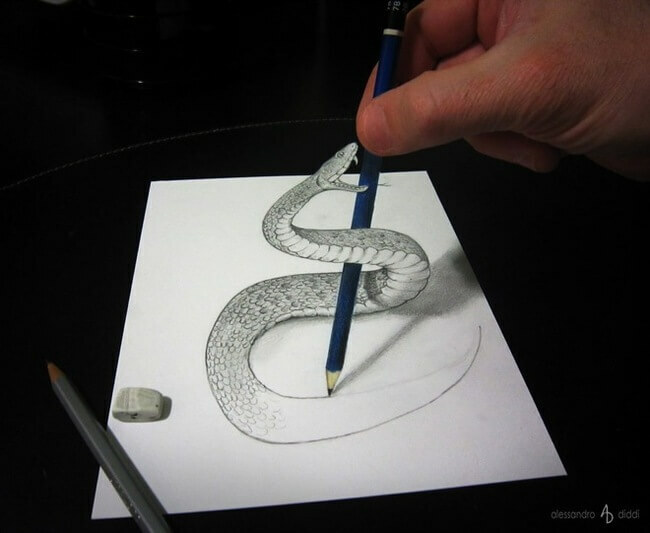 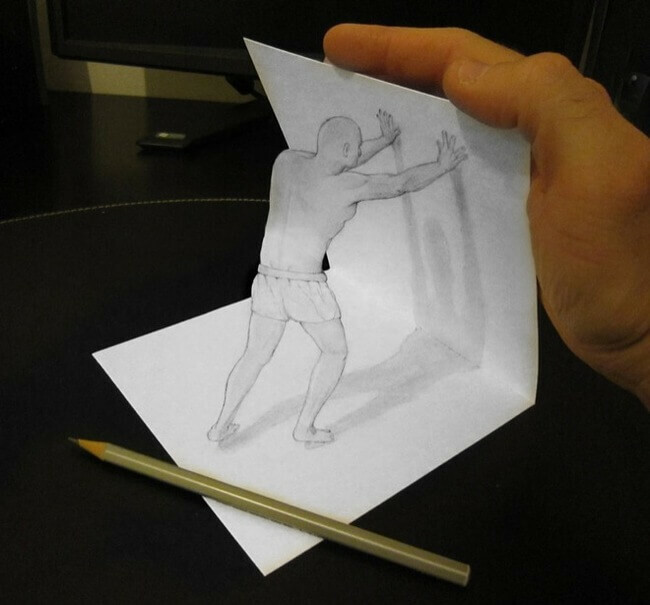 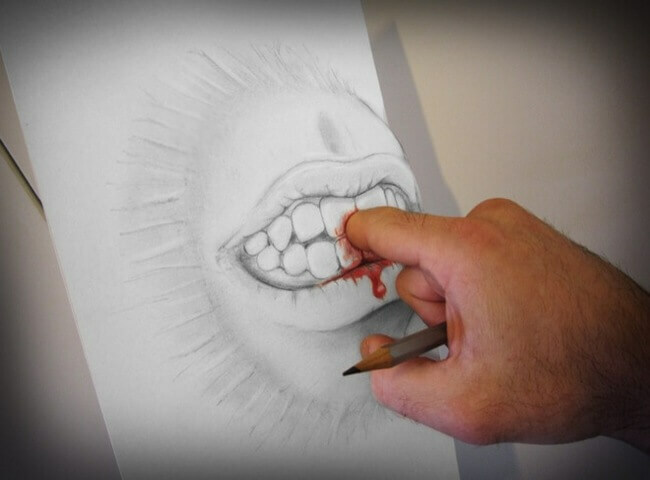 Alessandro Diddi is an Italian Artist with a talent for creating 3D drawings or drawing illusions. 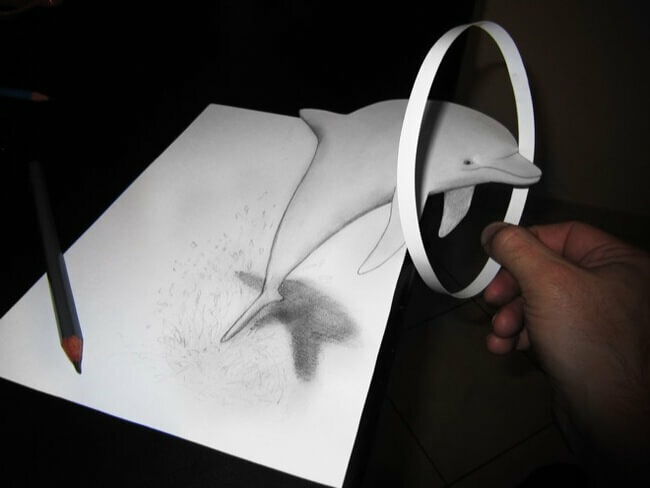 The technique that Alessandro uses is called “anamorphic drawing.” This technique creates illusions that trick your eyes into seeing a 3D image. 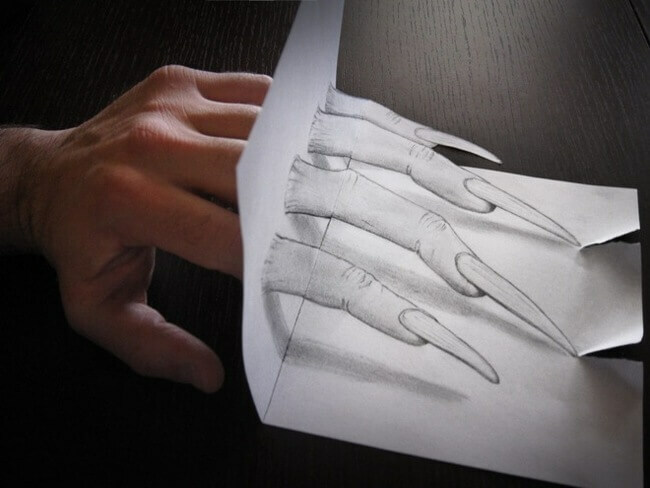 It’s like an artist’s Jedi mind trick but with paper cutting and clever shading. 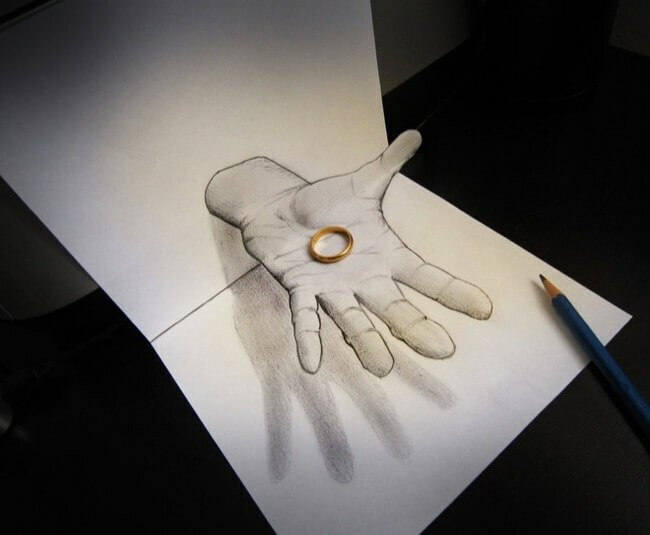 In a recent interview, Diddi said that he wants his drawings to put across the message that the eye can trick the mind. 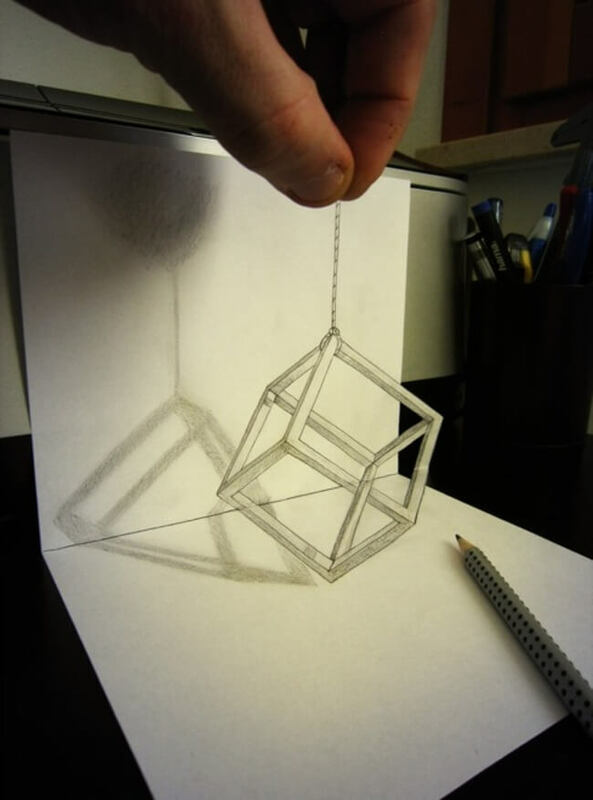 They’re drawn to trick you into seeing dimensions that aren’t really there. 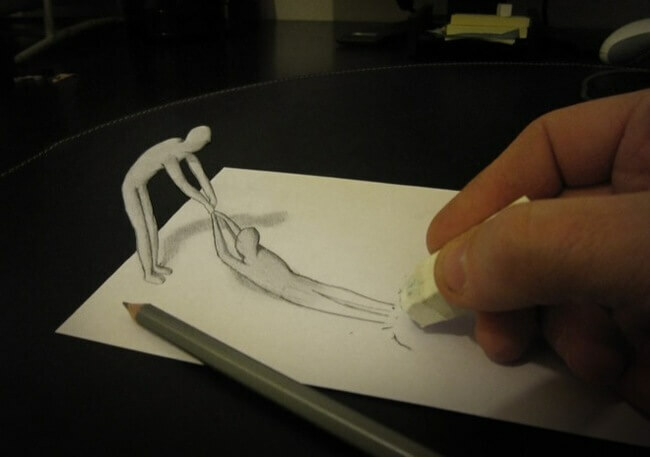 I’ve seen every few artists that can create 3D images like this. 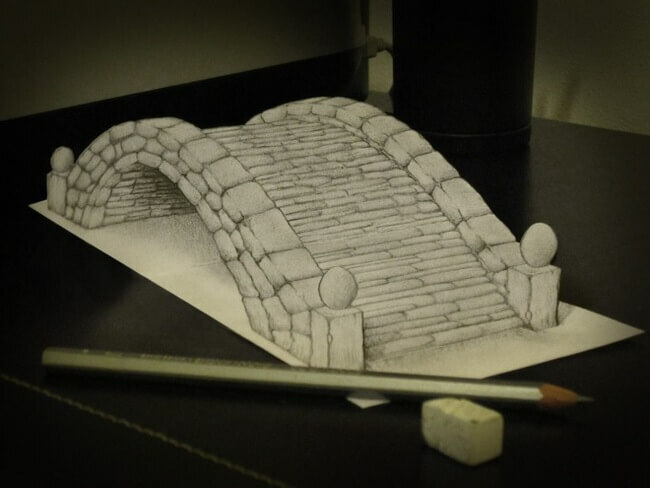 They’re kind of awesome. 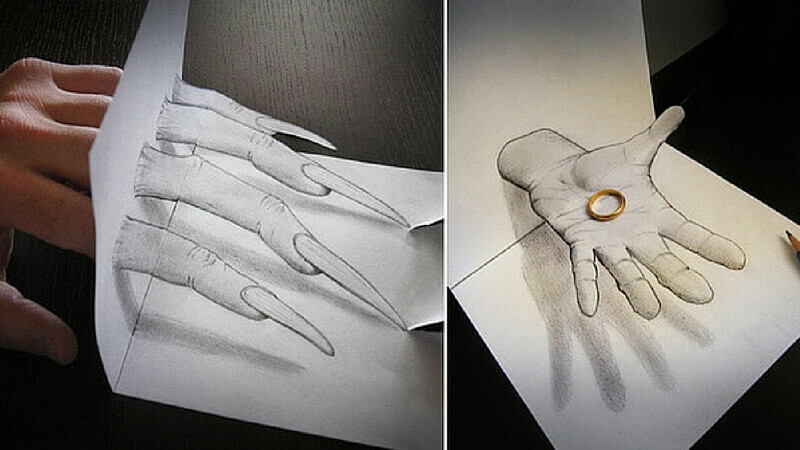 If you’d like to see more of Alessandro Diddi’s work, check out his Deviantart page. 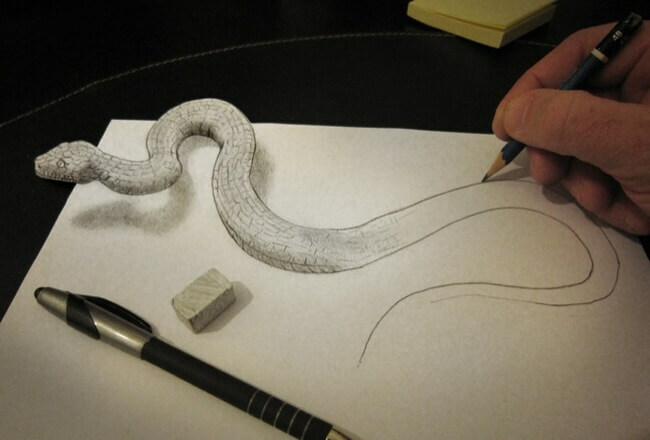 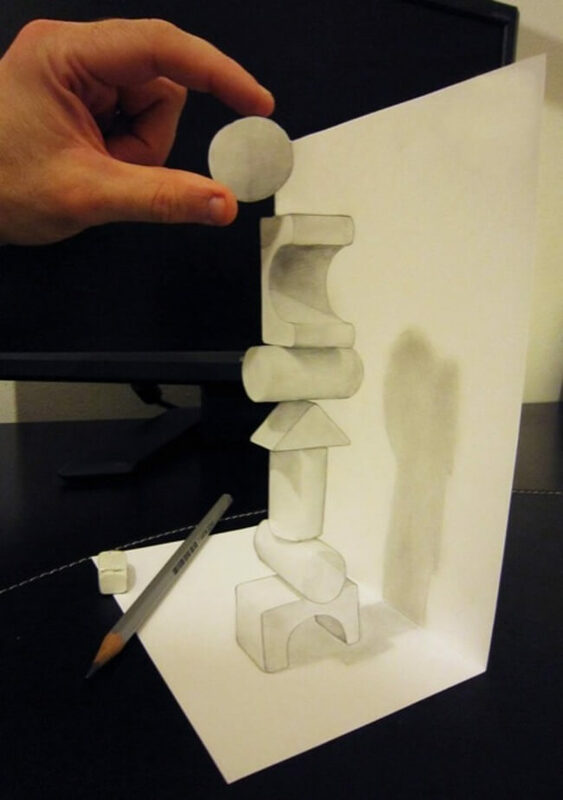 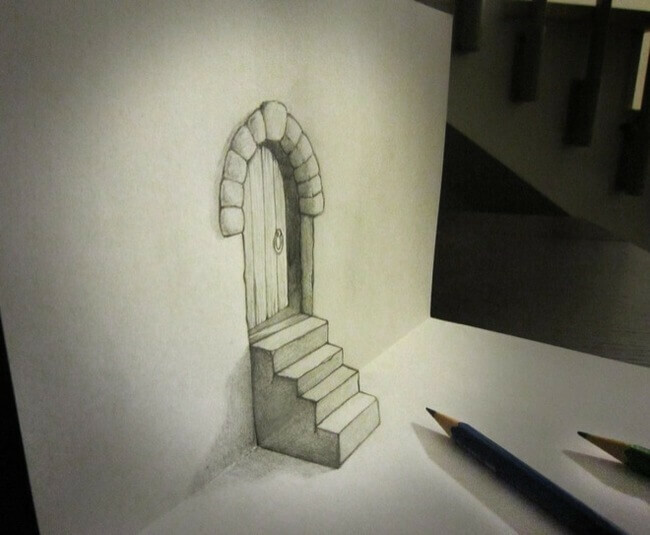 Comment and let us know if these drawing illusions tricked you too. 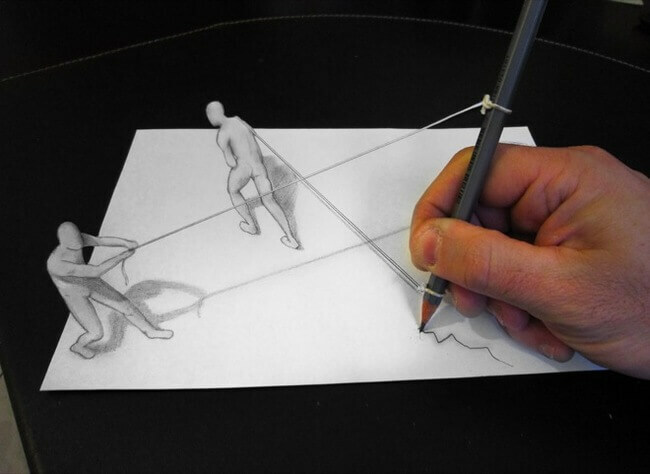 Classic drawing illusions – Save me!